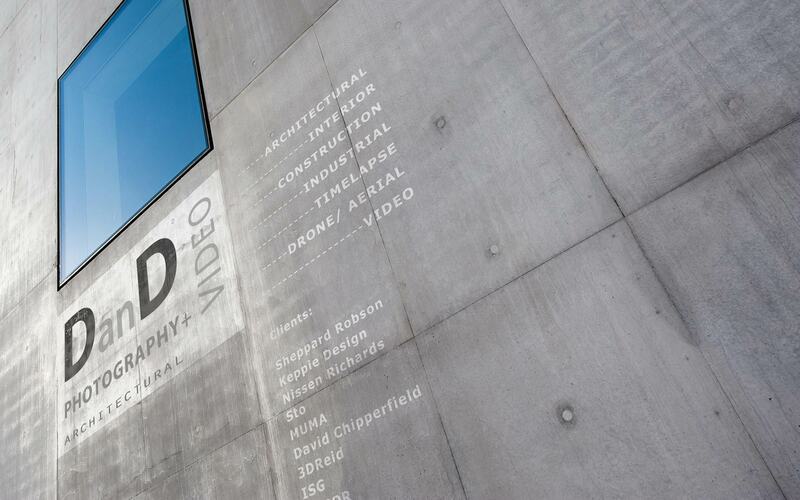 DanD Photography + Video | ARCHITECTURAL is Dan Dunkley. I'm a freelance professional architectural photographer based in West Yorkshire, between Manchester and Leeds in the North of England. Stills + motion is what I do. An architectural photographer with stringent attention to detail and a creative approach, I'm dedicated to capturing striking, technical stills of exterior architecture and interior spaces to showcase clients' projects at their absolute best. DanD photography + Video works directly with architectural firms large or small, architectural suppliers, interior designers, publications, construction, and property developers to produce a quality portfolio of compelling still photography. Time lapse photography and video production are additional valuable services available. Mainly for construction clients, timelapse photography and video features can help capture a project from beginning to end and greatly assist in the whole 'story' of construction, providing wider context for larger or more interesting builds. I shoot digitally using dedicated architectural photography equipment, producing the best end results of most benefit to the client. Professional post production and re-touching are critical parts of the architectural stills photography process and are done in-house, along with full post production and sequencing for all motion work (timelapse and video) as part of the service. A former employee of the Royal Institute of British Architects (RIBA) in central London, I have a long-held, solid interest in all things architectural and a genuine understanding of what makes a good building or interior image. I also know what architects like when it comes to their work being captured photographically, apart from just straight verticals. With a previous professional career in web editing and design, I worked with photographers and edited the end products - pictures and video. I gradually morphed to the front-end of the process, and behind the lens, developing a full-time professional freelance commercial photography business focusing on commercial, architectural, corporate, and editorial photography across Manchester, West Yorkshire, Lancashire and the North West. I now specialise in architectural exterior and interior stills photography, timelapse photography and video for UK and international clients, primarily across the North of England. This website is now my dedicated portfolio of architectural photography work. Based in the Yorkshire-Lancashire borders, my clients are spread across the main northern cities including Manchester, Liverpool, Leeds, Sheffield, Bradford, York, Harrogate, Huddersfield, Halifax and throughout the North West, Yorkshire, occasionally London and beyond.